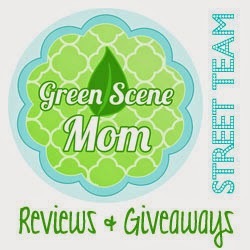 Trying To Go Green: Smart Step Comfort Mat Giveaway! Smart Step Comfort Mat Giveaway! Welcome to Simply Southern Couponers Fabio Viviani Smart Step Comfort Mat Giveaway! Smart Step Home is a company that specializes in anti-fatigue flooring that helps reduce strain on the back, legs, feet and help improve circulation while reducing joint and muscle aches that is often associated with prolonged standing on hard surfaces. Chef Fabio Viviani is not only a chef but a restaurateur, personality, and cookbook author who wanted a mat that could alleviate his back and feet pain. Do you find yourself in the kitchen cooking or cleaning and notice your feet, legs or back start to hurt standing on the hard floor? If so, have you thought about using a comfort mat to help reduce the strain on your feet, legs and back? Here is your chance to win an amazing Fabio Viviani Comfort Mat in Toscana Caramel. Read Simply Southern Couponers Fabio Viviani Comfort Mat Review here. I really like the look of this mat. It makes you feel at home and I love the color. Open to US residents only. Must be ages 18 years of age or older to participate. To enter complete the Rafflecopter form below. All winning entries will be verified. Thanks to our Sponsor and a great group of blogger friends for helping us with this event. Stop by and visit them. Read a book in a long, hot, soaking bath. On the couch with my feet up watching a movie with my fiancée and our kiddos.